Ladies and gentlemen, can you get your boarding passes ready. After making their debut at STS over the weekend, Fluffy House proudly presents FLUFFY AIRLINES blind box series online release date confirmed. Ladies and gentlemen, welcome aboard FLUFFY AIRLINES! This is a cuteness-overload flight. We are sure that you will be happy to join us! As we have the handsome leaders, Captain White Cloud and Captain Gray Cloud and lovely FLUFFY AIRLINES crew serving you with the warmest welcome. Need a travel buddy? Tourist Sunny is ready to take a sunbath with you! Who else is travelling with us? Nappy Bear is going to be your vacation photographer! With all of them aside, who could resist such a lovable journey like this? Time to get it started! Sit tight and thank you for flying with FLUFFY AIRLINES. There’s also a secret figure in some of the sets by random. Come on! Let’s see which character you have picked today!! PRICE: $10.70 USD each or $128 USD for the set. 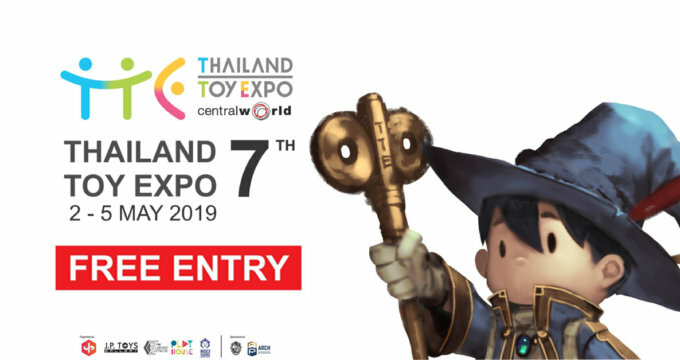 Will you be at Thailand Toy Expo? Fluffy House will be there too, brining along with them exclusives and Fluffy goodies!